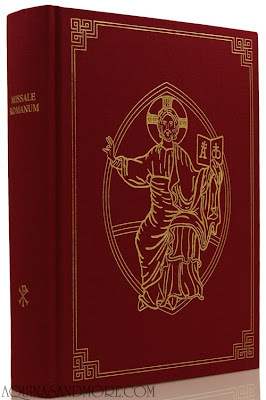 A decade in the making -- and after an oft-contentious process that's been both praised and panned... and, on all sides, pored over intensely throughout -- it's now official: the complete revision of the Roman Missal in English is an impending reality of church life. 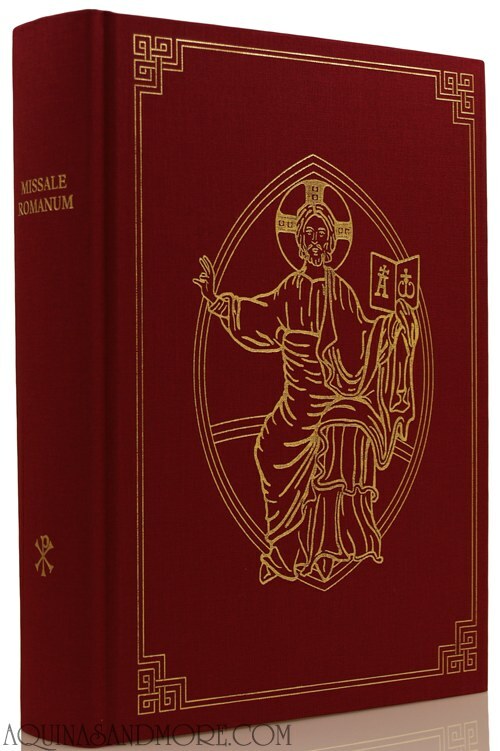 Within the hour, a Vatican source relayed definitive word that the new rendering of 2002's third Missale Romanum -- the first vernacular text to be universally employed across the Anglophone world -- has received the recognitio (confirmation) of the Holy See. The work's final approval for liturgical use given in a decree dated 25 March, news of the move was first shared privately yesterday by the Congregation for Divine Worship and the Discipline of the Sacraments. A formal announcement is expected shortly in the customary end-of-meeting communiqué of the CDW's Vox Clara Committee, the blue-ribbon group of English-speaking prelates which has played the clearinghouse role on edits and revisions to the forthcoming translation. Intended as a more faithful rendering of the Latin editio typica (the liturgy's binding text), the path to today's move dates to 2001, when the CDW instruction Liturgiam authenticam mandated new norms, overturning the post-Conciliar translation policy of "dynamic equivalence" in favor of an improved adherence to the Latin original. 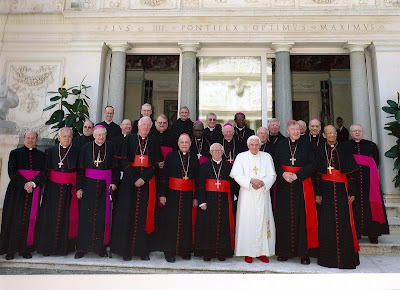 As noted previously, with the Holy See's climactic part of the process now complete, the focus returns to the 11 Anglophone bishops' conferences, each of which is charged with disseminating the finished product within its jurisdiction, coordinating the preparatory programs and, above all, fixing the new Missal's implementation date within their proper territory. While these will vary slightly from country to country, most observers expect the new book to "sunrise" at or around Advent 2011. And with Vox Clara's major project now handled, the commission is widely anticipated to take on a similar overhaul of another significant plank of English-language worship, with the Liturgy of the Hours or sacramental rites leading the on-deck buzz. As ever, more as it comes in. The committee members are shown above with B16 following their papal lunch yesterday.